We are so focused on our clients that we now seek to work with companies with an EBITDA of $2 million or more, and we prefer over $10 million in EBITDA. 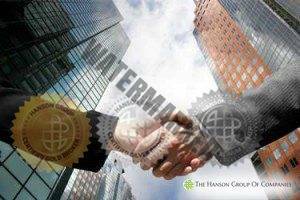 We at the Hanson Group believe that there are successful companies that are capital-constrained. Our parent company just entered into a successful $100 million capital raise and is seeking compatible acquisitions. We are willing to move swiftly and will consider any sector as long as the fit the EBITDA requirements.